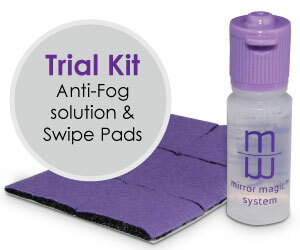 The mirror magic™ Anti-fog System prevents fogging on mouth mirrors and provides the practitioner a quick method for debris removal. 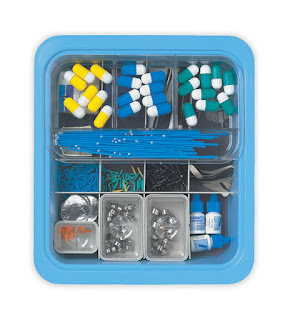 A disposable, self-adhesive Swipe Pad sticks to the back of a gloved hand or patient bib for efficient performance. The anti-fog solution is applied to the Swipe Pad and the mouth mirror is gently swiped prior to the start of the procedure. This anti-fog system requires only a small amount of solution for each procedure and the economic size allows the Swipe Pads and solution to be easily stored.